OEM Manufacturer of a wide range of products which include electric control panel, process control panels, mimic control panel, lt control panel, soft starter panels and industrial control panel. Being one of the trusted firms in the industry, we are highly engaged in providing a unique range of Electrical Control Panel. With the adroit team of professionals, we are the primary provider of Process Control Panel. This offered product is extensively used in diverse applications in various industries. Our organization is widely trusted in offering Mimic Control Panel to our clients. Offered range has the facility of extension as per required. It has the design which resembles modular cubicle system. 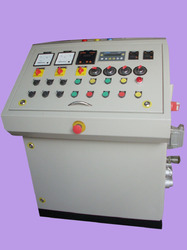 We are leading Manufacturer of LT Control Panel and our product is made up of good quality. 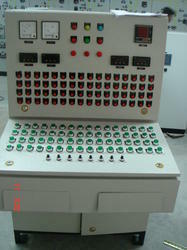 LT Control Panel offered come in quality construction finish and are suitable for operating voltages below 440 volts. These low tension systems can be provided with options of different type of panel support and support the demands of controlling of power. Some of its features include advanced range of PCC panels in different sizes depending upon amount of current it handles finding use in different industry sectors range is available from 16 A to 10,000 A different switchgear options of air circuit breakers (ACB), molded case circuit breaker or switch dis-connector fuse unit. We are leading Manufacturer of Soft Starter Panels and our product is made up of good quality. We are able to offer our clients with an array of Motor Control Center (MCC) and Pump Control Panel that is widely used in various offices, industries, commercial complexes and residential societies. With the required inputs, these can be designed, manufactured, assembled, tested, installed and commissioned along with selected motor starter and drives as per the clients requirements. 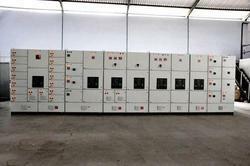 Our company has achieved the milestone in offering Industrial Control Panel to the clients. This product is manufactured under the guidance of skilled professional by using premium grade material and latest techniques. 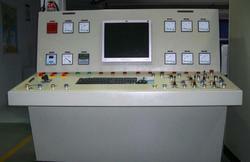 Industrial Control Panel is praised by clients for owning remarkable characteristics. The offered range is applauded and cherished in the mark of precious design and long life by the esteemed clients. This product is well tested by the quality controllers on different stages before the delivery. The offered range is dispatched in quality assured packaging material. Process Control Panels offered provide for consistent performance support and provide for successfully achieving desired output level. These high performance based electrical Systems are suitable to be used in wide variety of industrial applications and can also be custom built as per the specific process control requirements. Some of its features include meeting the demands of industrial automation and process control based on advanced control system technology for flawless performance feature new design layouts to meet panel and factory space requirements.